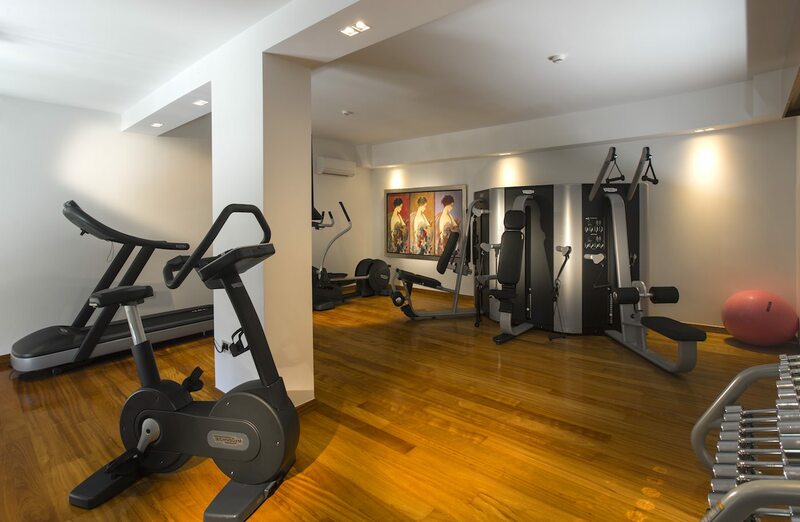 With cutting edge fitness equipment by Technogym® and personal training programs to suit special requirements, Porto Zante Villas and Spa offers an ideal wellness retreat. 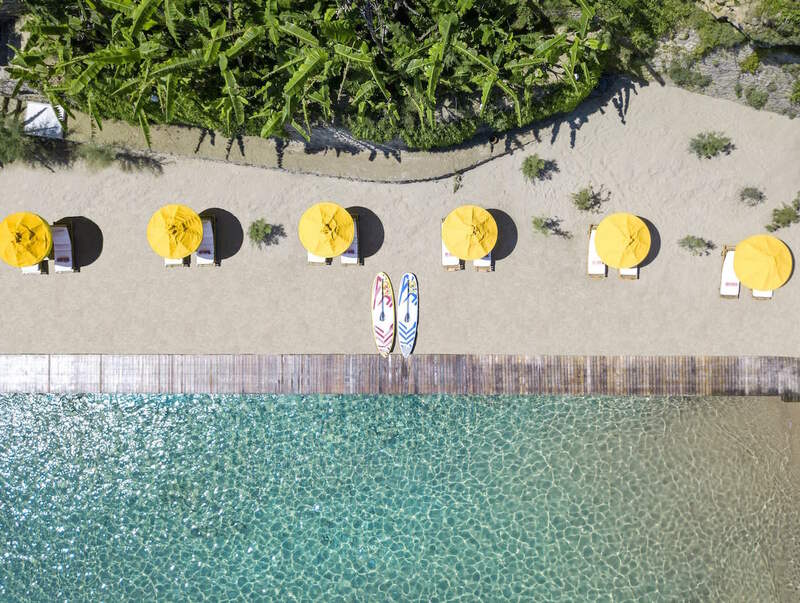 To help create a more balanced and healthy lifestyle, Beachfront Yoga is available at this luxury villa resort, while Pilates offers exercises focused on the core, which help strengthen the body using specific breathing techniques. A variety of Water Sports for adults and younger guests invites you to the perfect combination of fun and exercise and the nearby Tennis Club and Horse Riding farm guarantee there won’t be a single dull moment! A state-of-the-art Gym by Technogym® and an experienced personal fitness instructor are at your disposal at this top villa resort in Greece. The available fitness equipment includes treadmills, electronic bicycles, elliptical machines, a Plurima multistation, 4-uses bench, Swiss ball, medicine ball, foam roller, dumbbells. For a more personalized experience, the resort’s specialized personal instructor will design a training program tailored to your needs. 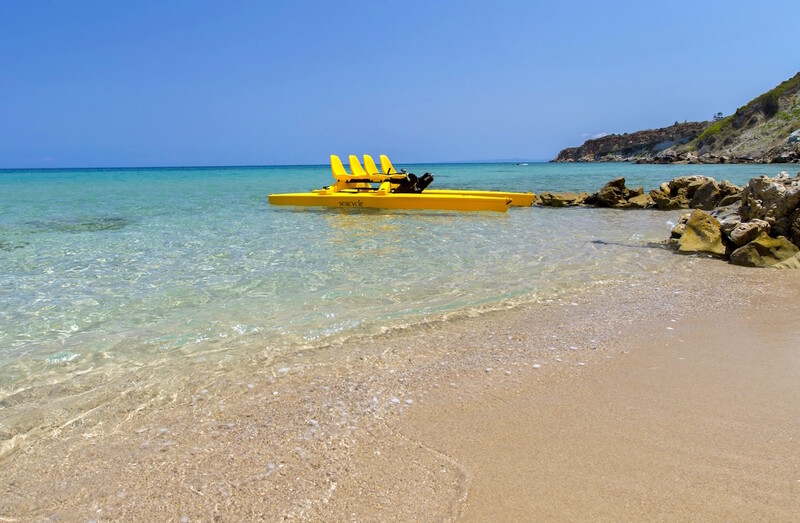 Enjoy a variety of water sports and activities in the crystal blue waters of the Ionian Sea. Revitalise and relax on the water’s edge with Yoga meditation techniques under the sounds of the sea and postures inspired from nature. Choose a Pilates session with exercises focused on the mind-body connection for stronger, more sculpted muscles and flexibility. Our guests enjoy the privilege of complimentary access to the nearby Tennis Club with clay tennis courts. Tennis lessons are offered for adults and children of all levels. A fun horse riding experience awaits you on the beautiful beaches of Zakynthos Island, surrounded by an impressive scenery. Pony riding is also available for younger children.